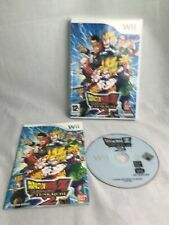 Dragon Ball Z: Budokai Tenkaichi 2 - Nintendo Wii. Boxed with Manual. Central Park is hiding a secret. Now the truth can no longer be contained, and paranormal investigator Edward Carnby finds himself inexplicably cast into the eye of the storm as over the course of one apocalyptic night he must uncover the earth-shattering secret behind Central Park. PAJAMA SAM. Explore a world of secrets and slumber in this adventure that will be sure to keep you from dozing off! Nintendo Wii. Your item will be dispatched within 24 hours. 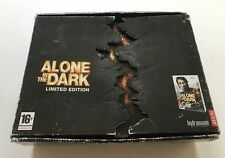 Alone in the Dark (Nintendo Wii, 2008) Brand New & Sealed. Condition is New. Dispatched with Royal Mail 1st Class Large Letter. "HAUNTED HOUSE". 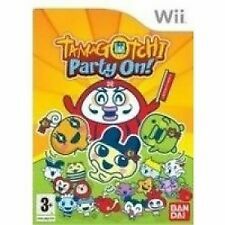 For use with PAL version of the Wii console only! Alone in the Dark - Wii. 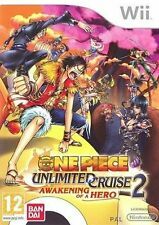 UK English - Pal Version. Passionate about horses?. Recreate the ultimate bond between horse and rider, through extensive caring features, competing in multiple disciplines or simply taking your horse for a ride. Tamagotchi Party On! 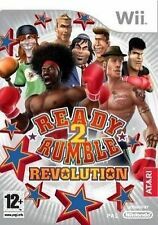 for Nintendo Wii PAL Region 2. Format UK PAL region. Jenga World Tour For Nintendo Wii. Includes Instruction Manual. Disk is in good condition.